Michael has been raising livestock since 1968 and owns and operates the Lost Coast Ranch at the mouth of the Mattole River. He was co-founder of the Eel River Salmon Restoration Group in 1981 while also working in the woods as a timber faller and forest restoration contractor. Michael joined the MSG Board in 1987 and has served ever since. His area of primary focus is the lower river and estuary where he lives. 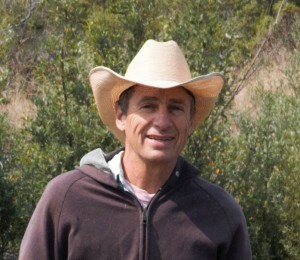 From 1994 to 2005, Michael served on President Clinton’s Federal Provincial Advisory Committee to provide local information and perspective to federal land managers and wildlife agencies on the California Coast and as the Karuk tribe’s member on the Klamath Provincial Advisory Committee. Since 1986, he has operated a demolition salvage company, OldGrowthTimbers.com, which specializes in reclaiming old growth redwood and Douglas-fir from old structures in the region.